Next Story What lighting techniques should every videographer know? 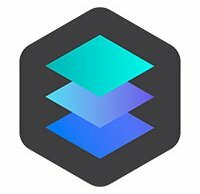 Luminar 2018 is available now. The Lightroom competitor offers a lot of image editing capabilities and thanks to its brand-new Raw engine, the software is better-suited for raw image processing than ever before. There's a lot of new features including improved intelligent filters, a sun rays filter, dodging and burning, hue shift tools and brilliance/warmth tools. Further, Macphun, soon to be known as Skylum Software, has added lens correct and transform tools to Luminar 2018. When comparing Luminar 2018 to its predecessor, Luminar 2017, the new version includes Adobe plugin support, advanced masking with filters, bi-color toning, cross processing, real-time noise reduction, split toning, structure enhancement, Apple HEIF file support and much more. You can read about the differences here. If you'd like to try Luminar 2018, click here. You can purchase the software for $69 or if you're an existing Macphun user, you can get a discount by clicking here. Photographer and educator Serge Ramelli has gone hands-on with Luminar 2018 and made a video comparing Luminar 2018 to Lightroom Classic, which you can view below. It's worth pointing out that Luminar 2018 will be receiving a free update in 2018 which will introduce digital asset management tools to the software, making it much more like Lightroom in terms of capabilities and organizational tools. We have Luminar 2018 now and will be bringing you our own review of the software soon, so stay tuned to Imaging Resource for much more on Luminar 2018 and other software from Macphun/Skylum.